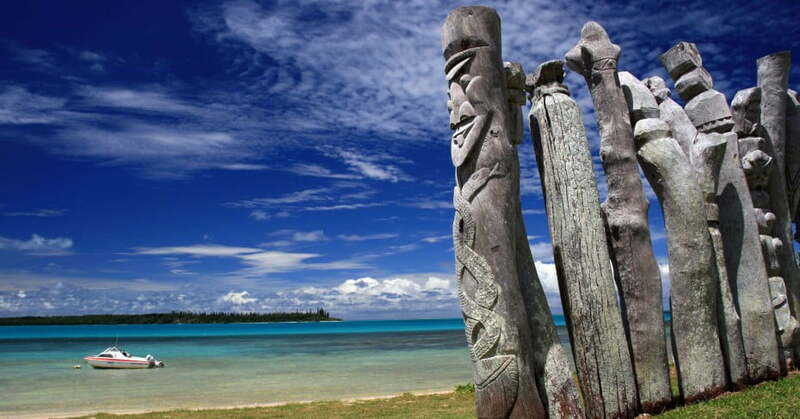 Find our cheapest flights to New Caledonia from Auckland, Wellington, and Christchurch. New Caledonia offers a holiday experience that is both relaxing and stimulating at the same time. You could call it a land of refreshing contrasts. A unique mixture of European style and Melanesian friendliness lends this French-run outpost an atmosphere unlike its neighbours. Fresh island produce is used to great effect in Gallic-inspired recipes. Gorgeous beaches are lined with European-style cafés and bars. You can laze away your days in sophisticated resorts or explore canyons, caves and shipwrecks. And let’s not overlook the wonders of nature. The main island, otherwise known as La Grande Terre, offers a stunning range of scenery. The 9,000 hectares of the Blue River Provincial Park shelter numerous bird species, including the flightless cagou - a bird that barks! You can also visit Kanak tribes in the valleys and be surrounded by beautiful settings that show off the island’s tropical vegetation to stunning effect. New Caledonia is big enough to offer an impressively diverse range of holiday experiences. The palm-shaded boulevards of Noumea offer a taste of the French Riviera, while the west coast is home to fabulous beaches and wide-open plains full of cattle ranches. The east coast is lusher, with waterfalls and hidden valleys to discover. The offshore Loyalty Islands offer white-sand beaches and turquoise lagoons, while the Ile de Pins (Isle of Pines) is world-famous for its beauty. 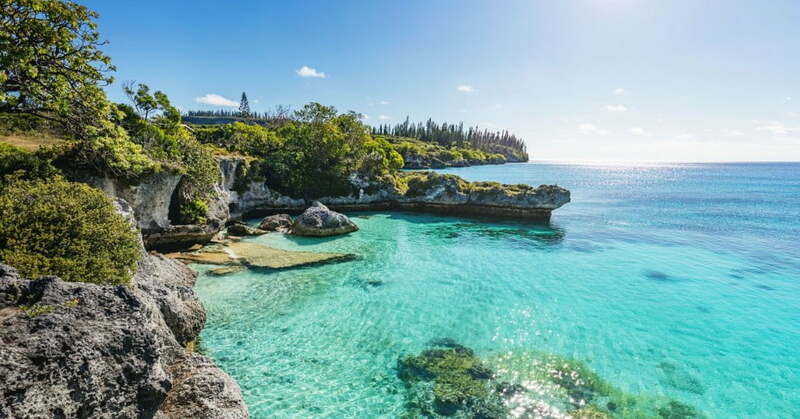 While nature will get plenty of accolades we recommend making time to discover the cultural riches of New Caledonia as well. Visit the Tjibaou Centre in Noumea to learn about Kanak culture and immerse yourself in their art. Experience local arts, music and dances while tasting the finest local food and drink at the Noumea night market every Thursday. Play a game of petanque or try your hand at chess on a giant chessboard in the Place des Cocotiers, shaded by magnificent flame trees. Gorgeous beaches are lined with European-style cafés and bars. Raise a glass of champagne to New Caledonia. Only a short flight from New Zealand, it’s a South Pacific experience unlike any other. New Caledonia is on the fringes of the tropics and enjoys spring-like weather all year round, with temperatures from 15 to 32 degrees. The local currency is the Pacific French Franc, also used in French Polynesia. Costs are comparable to New Zealand and Australia, with savings if you eat local produce and choose cheaper accommodation than the international-style resorts. New Caledonia presents few special risks. The Zika virus has been reported, which may present a risk for pregnant women, as there is no vaccine against this disease. Comprehensive travel insurance is always a good idea. New Zealand passport holders can enter without a visa for stays up to 90 days. Please note: Where travel is operated by a codeshare partner, only The Works product will be available and the inflight service offering will differ to that on Air New Zealand operated services.